Regardless of accounting rules, the money is not real until it is in the bank, with a deposit receipt in your hands. Without money in the bank, you cannot pay your bills or pay your employees. This means that every business operation needs a revenue control system. 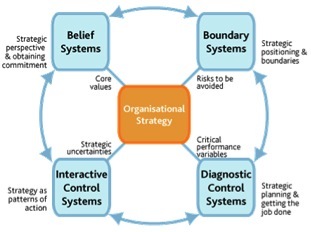 As always, there are four kinds of controls systems available to be used in combination: diagnostic, interactive, boundary and beliefs. While beliefs system controls are powerful and efficient if you can get them embedded, with regard to revenue all it takes is one person who does not believe. Revenue control is ALWAYS strategically critical. Therefore, as you design a revenue control system that is right for your business, try to utilize all four of Simon’s controls (see below). One of the most frustrating things that can happen when running your brewery or brew pub is when the revenue that you have earned either does not get paid to you or, for some other reason, does not make it into your bank account. This paper will help you craft a revenue control system. Internal to the business: Beliefs system controls can work very powerfully within your company, because you work with your employees together every day, and they are invested in the success of the business. Firstly, let everyone know that all the cash, checks, transfers, credit card receipts – every bit of revenue is needed to keep your business viable. It is all needed to pay the bills. Create a strong belief system that you need every bit of revenue accounted for and deposited in our bank account, so we can survive and we can pay our bills. Create the belief that there is no “extra” revenue. In a brewpub this is especially critical. When employees see cash going into a cash register, and all the payments flowing through their hands, or the hands of their colleagues, it will seem to them that there is money everywhere and lots of extra. When employees are not paid a lot, it is very easy to rationalize that the brewpub has a lot of extra money and they have so little, and it won’t be missed or needed. If employees do not feel they are being fairly paid, they will be more likely to appropriate the businesses hard earned revenue for themselves. We recommend paying employees for the value they provide to your business and not according to how easy it is to replace them (supply). We will discuss fair pay elsewhere in detail. For now, please understand that when anyone in the organization feels underpaid or under-appreciated, you are risking your revenue (as well as theft and pilferage that impact you on the cost side). It is a two way street. You must create an internal belief system that every bit of revenue is needed, and that revenue control ends up helping everyone in the organization. External to the business: Belief system controls are more difficult to pull off with those outside of your business. However, they do work with repeat customers -- those with whom you create an ongoing business relationship. Therefore, the same beliefs must be instilled in those who have business-to-business accounts payable to you. When distributors are slow to pay, or retail outlets that have your beer on tap pay you last, or slowly or not at all, you risk going out of business. It is the manager’s job to let them know this, to lead the way, to communicate face to face. Be polite and at the same time explicit. You can be humble: “Please understand that we are depending upon you to pay us on time, as fast as possible really, because we have many bills to pay of our own. Please promise that you will always pay us for our beer (or contract brewing services, or whatever) within [the period you agree upon].” This is not just written in a contract – it is something that you say out loud and shake hands, bow, make eye contact about and agree upon. Furthermore, each time you get paid quickly, make it a point to thank your B-to-B customer for that behavior, and continue to let them know how important it is. A diagnostic control measures quantities and qualities. Quantities are easier to measure than qualities. However, all research shows that in general qualities are equally as important to measure and track. All sorts of revenue quantities can be measured and can be compared with each other’s. How much potential revenue did we earn this month (i.e. the amount produced x sales prices)? How much revenue did we account for this month (amount billed)? How much actual revenue did we realize this month (actually got paid and deposited)? Business to customer sales should have very little variance between any of those measures. Business to business sales should have low variance between the first two, and after allowing for a payment period a lag of about 30-45 days, as low as possible variance between the last. How much revenue is implied by inventory usage (potential revenue)? How much revenue is implied by sales/production orders (potential 2)? How much revenue and receipts were collected (actual revenue)? A simple diagnosis will let you know the yield on your inventory, and will let you know how much of the losses from potential are coming from waste/loss during production versus produced goods that went unpaid for. “Do you get the sense we should be charging more or less for anything? “Did the charge cards and cash add up right? Any staff that comes in contact with revenue can also be part of a weekly meeting where all of this is discussed and ideas from the staff to improve revenue control are heard as well. They will often give ideas about how to limit payment avoidance schemes of customers. Boundary system revenue controls are the most typical system used in breweries and brewpubs. Probably this is because they are the easiest to implement. Establish a few critical things that must NEVER be done, and if they are ever done, MUST be documented. These are the actions and behaviors that are out-of-bounds. Never take cash out of the cash register and use it to pay for expenses. This common error in behavior is mingling revenue with costs and will quickly lead you to lose control. There should be a separate petty cash fund that can be used for immediate cash payments when a check or credit card will not do. Never give change to anyone out of the tip jar. This is a classic way for a server to leave extra money in the cash drawer and remove it for themselves later, at the expense of their colleagues. Never give special payment terms to a customer/client without documentation and term limits. If a distributor wants a large discount for getting your bottles on retail shelves, creating documentation will give you time think it over (and run some diagnostics) and putting a term limit (like 180 days) on the deal will allow you out of the special program and raise revenue once demand for your product is flowing. Good managers do not tolerate variance in boundary system rules or they lose their control power. Furthermore, the consequences of a breach in the boundary rules must be carefully crafted and openly communicated. Therefore implement these control rules carefully because you will be expected by everyone to act swiftly and dutifully to deliver the promised consequences when any of the rules are breached.